Aluminum House Number Plaque with Single Line Border - - small personalized residential address sign with the house number you supply. 12" x 6". Custom made in USA. Serpentine arch plaque is available for either wall mount or lawn mount. Wall mount plaques include studs on the back. Lawn mount plaques include garden stakes. This metal sign is made of cast aluminum with a leatherette texture and protected with clear-coat sealer. Holds a one line house number up to five (5) 2.875" characters. Dark oxide background with bronze-tone characters and border. This sign is also available with a rope border. 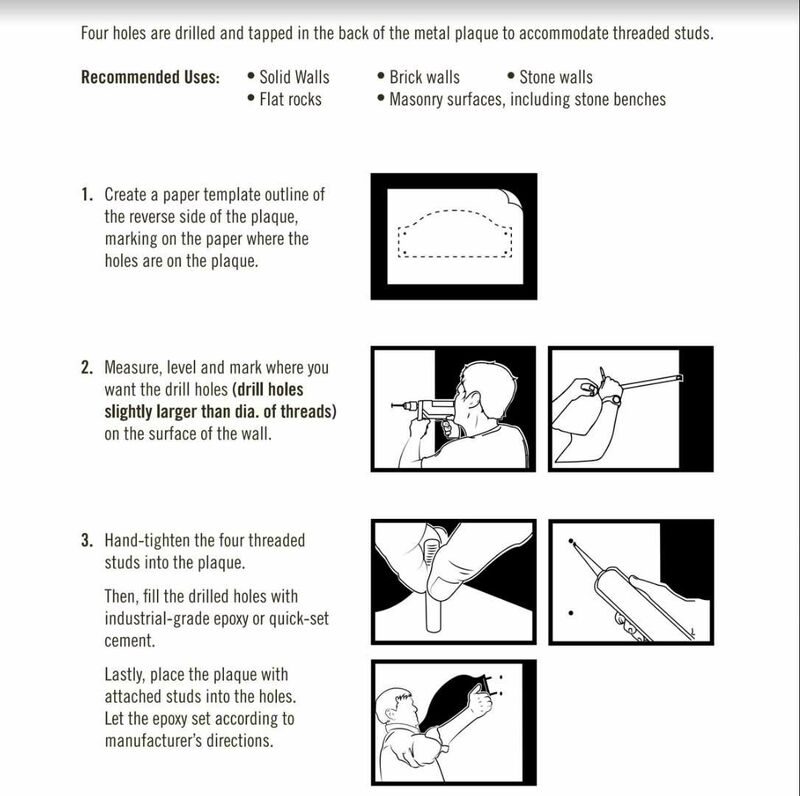 Click top link in Related Products. 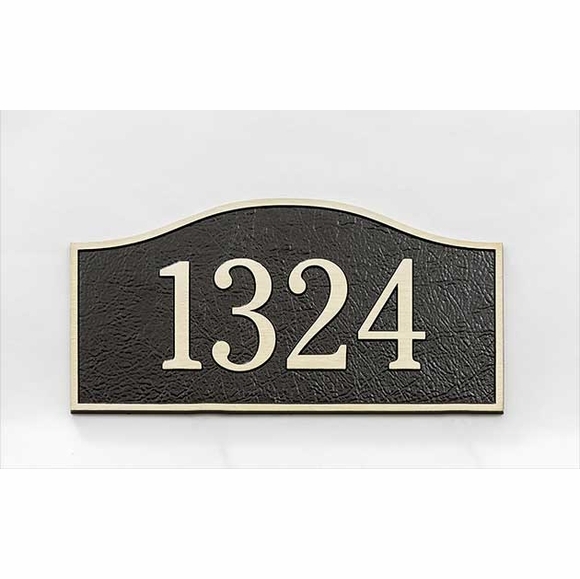 House number on sample sign: 1324.